This blog is sadly lacking in the crafting area lately. I need to change that asap. This isn't exactly a craft post, but it will have to do for now. 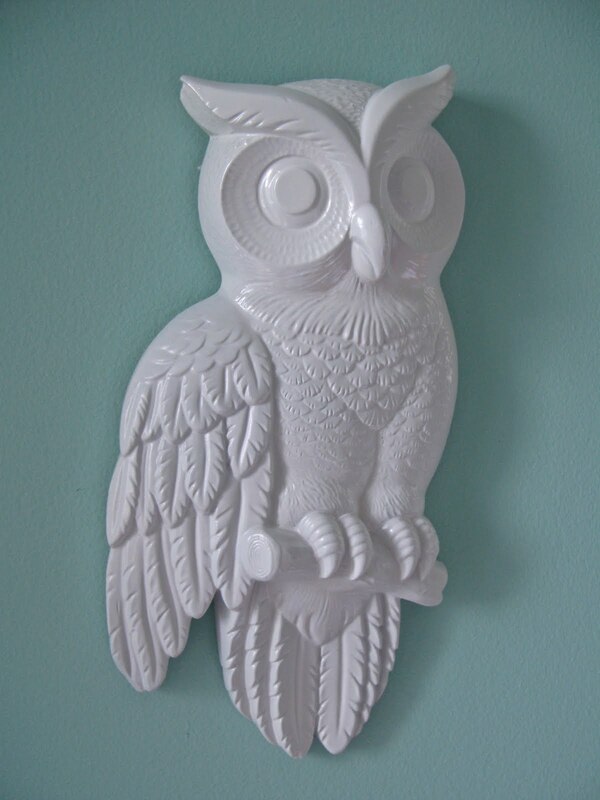 When we first moved I stopped by a thrift shop and picked up this owl for fifty cents. I immediately knew that I wanted to paint him all white and hang him in Lucy's room. I love the way he turned out. People have been singing the praises of spray paint for quite some time...and I know why. It is so easy to transform something not so great into just the perfect piece. I hope that everyone has a lovely weekend. We are looking forward to some fun markets and festivals in town this weekend. Now I love this owl! It is the live one that scares me! I love it and you. I had a great visit! I never would have thought this owl could have looked so good!